Keith Cowing: This is part of the detective work I used to help narrow down what image we may have found. 3. 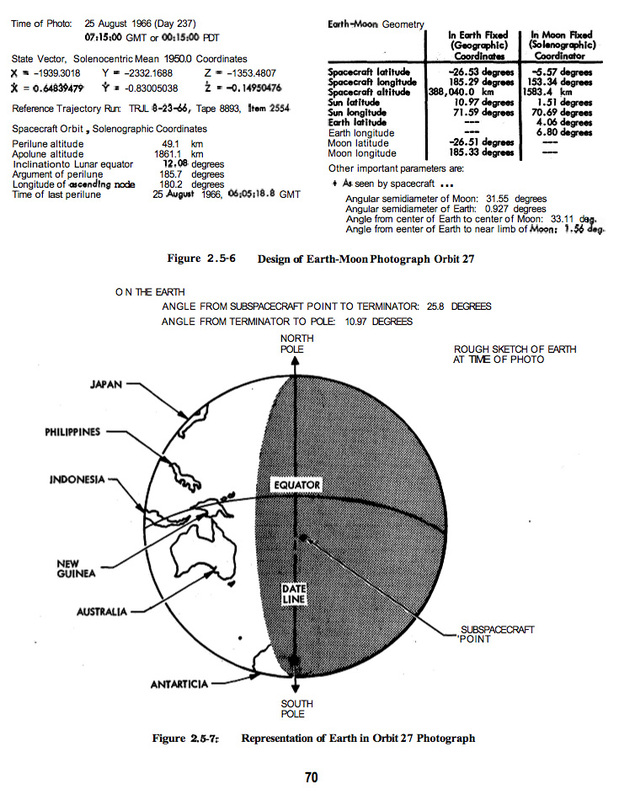 This image of a page from a Lunar Orbiter planning document [ page 70 of Lunar Orbiter I – Photography NASA-CR-847 http://hdl.handle.net/2060/19670023005] clearly shows an image of the Earth from the moon being planed for Lunar Orbiter 1 on day 237. 4. Apparently this was attempted more than once. 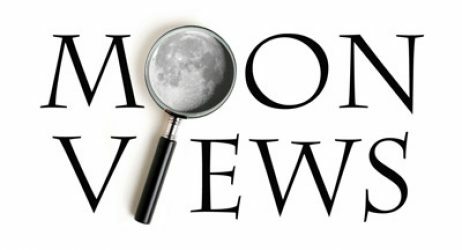 Recall that Lunar Orbiter 1 was the first mission and they had a lot of bugs to work out with the imaging system. “Despite the malfunctions in the photographic subsystem the spacecraft succeeded in taking many historic pictures. Command and maneuver requirements were developed to take,  in near real-time, such pictures as those of the morning and evening terminator on the lunar surface, the Earth as seen from the Moon’s vicinity, numerous farside pictures, and additional photographs of sites of interest on the near side. Lunar Orbiter I photographed such areas as potential targets for Mission B, major craters, and mare and upland areas useful as Apollo navigation landmarks and was mostly able to satisfy the requirements to take these photographs. 8. We know that we have an image on this particular tape.